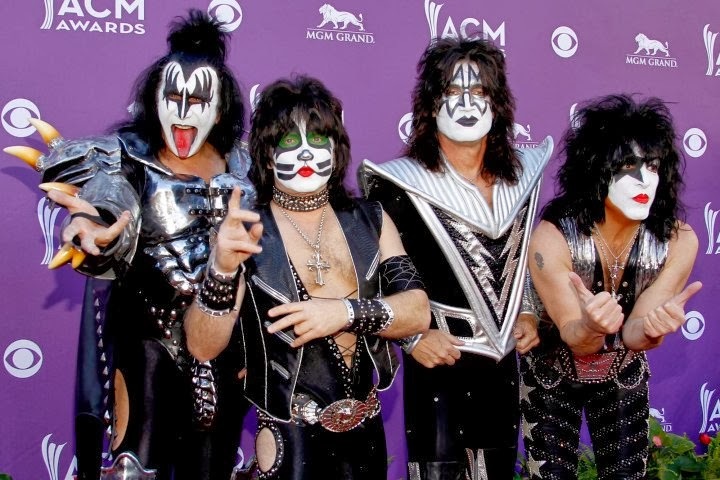 The heirs of the late KISS drummer Eric Carr — who replaced founding band member Peter Criss — have slapped the Rock and Roll Hall of Fame-bound band with a lawsuit over unpaid royalties. Carr’s heirs say the group, including founding frontmen Gene Simmons and Paul Stanley, has stiffed them on untold payments stretching back to the Brooklyn-born musician’s death from cancer in 1991. Carr joined the band — known for its Kabuki makeup and pyrotechnic stagecraft — in 1980 and recorded eight albums. For years the heirs believed they were only due royalties from the American Society of Composers, Authors and Publishers (ASCAP). “They thought they were getting it all from one source,” the estate’s attorney, Robert Garson, told The Post. The heirs — a friend and a relative of Carr’s whom Garson declined to name — realized that they should have been receiving payments from Kiss entities including the current group, two publishing firms and Gene Simmons Worldwide Inc.
Reps for KISS stonewalled his attempts for information—blaming the delays on the band’s touring schedule and overworked accountants, records show. Included in the Manhattan Supreme Court suit is a 1989 receipt Garson unearthed from KISS Co. to Carr for over $4,000 in payments from foreign use. Garson wants to know where those funds went following Carr’s early death. Carr, who took the stage wearing the facial makeup of “The Fox,” joined the band in 1980 and recorded eight albums with the group. The “Rock and Roll All Night” band has recently enjoyed a resurgence with Stanley releasing a biography “Face the Music: A Life Exposed” this month and menswear designer John Varvatos hiring the band for his spring ad campaign. But it’s also dealing with a rift among the original quartet over a reunion performance at the sold-out ceremony for the Rock and Roll Hall of Fame induction at Barclay’s arena on April 10. Hall of Fame organizers wanted the founding members to play—but Simmons and Stanley balked, claiming the performance would amount to an awkward KISS-and-make-up session with an ex-wife. Fans are still hoping the foursome will get together for a jam session at the end of the night– ticket prices on the secondary market are up to over $2,000 each. The band did not immediately return requests seeking comment.